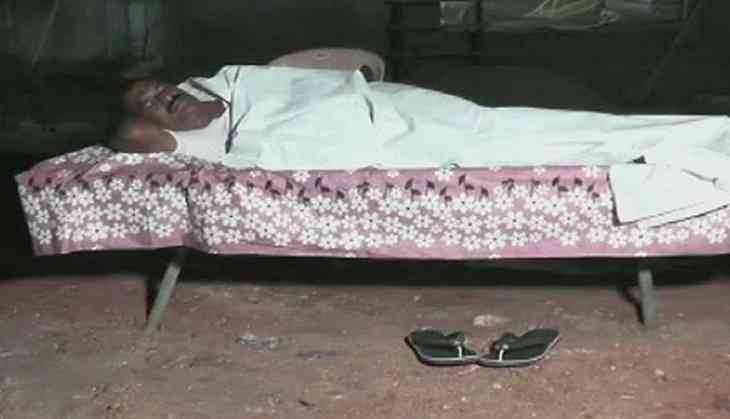 Telugu Desam Party (TDP) MLA Nimmala Rama Naidu slept in a graveyard in Palakole on June 22, in order to drive away fear among construction workers. Rama Naidu was reportedly inspecting various development works in his constituency, when he observed that development work at the Hindu graveyard was proceeding very slowly. However, he was told that construction workers, engaged in the renovation of the site, were skipping work due to fear of dead bodies being uncovered while digging the ground. This prompted him to stay back at the site. After having dinner on Friday night, the MLA spent the night at the graveyard itself, as a symbol of reassuring the workers employed there. The next morning (June 23), the MLA held a review meeting with Municipal Administration officials.